1.Durable, keep in shape, keep no stinking. 2.Good for one's health, help for one's blood circulation. 3.Wearable, well ventilated, environment friendly, hygienic. 4.Inflection resistant, keep dry, dispersal feet sweat stain to enhance foot comfort. 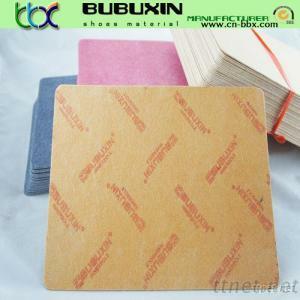 Mainly used for innersole of sports and leather shoes, the board of briefcase and suitcase.